"It is, in my opinion, the perfect mobile game." 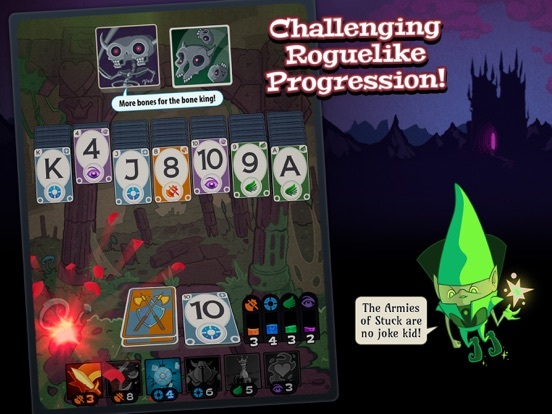 "An insanely fun mashup of roguelike RPG and solitaire." "A bright, funny, and engaging mix of ideas that's well worth adding to your home screen." 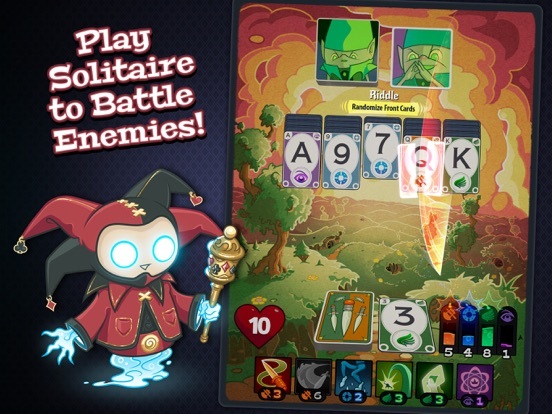 Solitairica takes RPG combat and challenging rogue-like progression to a fresh new place—the world of solitaire! 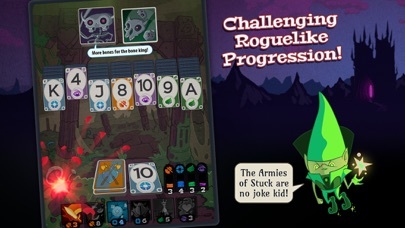 Gather your weapons and prepare to battle the armies of Stuck! In the land of Myriodd, all of the hearts have been stolen by the horrible Emperor Stuck, and you are the latest warrior brave enough to try to return them, saving the world from total heartless destruction! 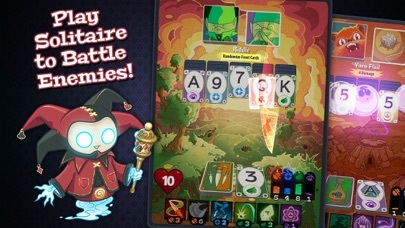 With the guidance of the great Kismet who will teach you the power of solitaire and the four great energies—attack, defense, agility and willpower—to battle your enemies... you could finally be the one to save the realm. 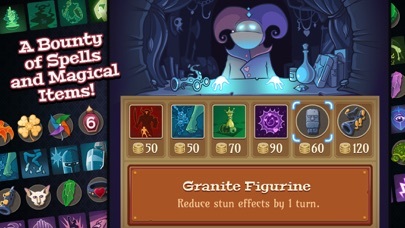 Each player’s journey will be a unique challenge, with a horde of ever-changing enemies and a wide variety of items and spells to explore. Battle your enemies with brute force, or cleverly constructed builds with devastating combos, and defeat the Armies of Stuck! - Introducing a brand new turn based solitaire combat system. 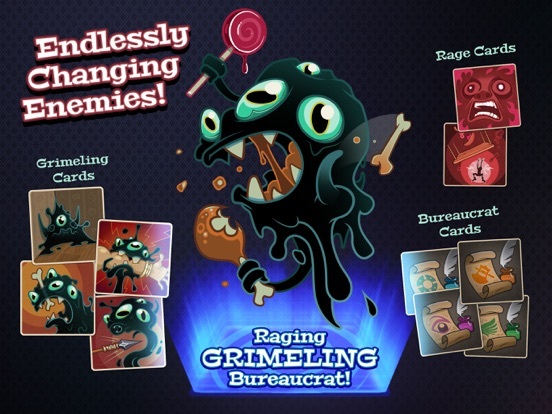 - Procedural enemies that combine hilarious and dangerous traits for endless variety. 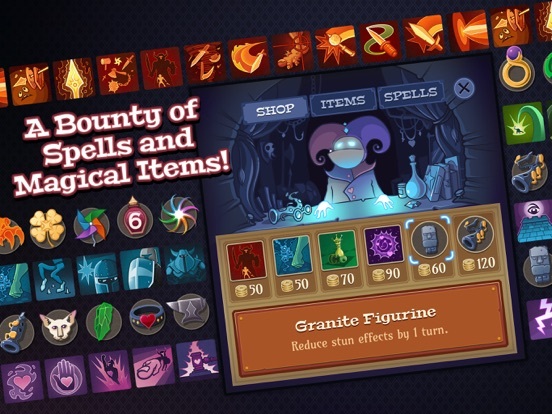 - Heaps of items and scores of spells to combine. Millions of builds to try! - Challenging and dynamic rogue-like progression. - Four great energies to master: attack (destroy cards), defense (counter and armor), agility (peeking and quickness) and willpower (healing and the arcane). 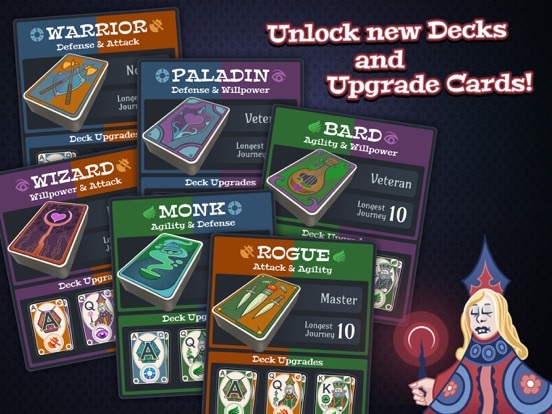 - Collect wildstone each journey to upgrade cards and unlock new decks, which change the way you play. 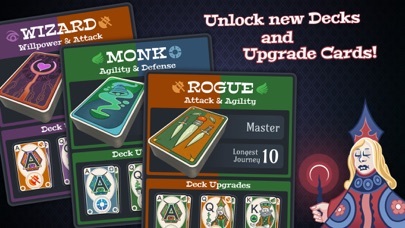 - Deck upgrades include Ace, King and Queen cards which provide powerful boosts during battle. Haste spell no longer sends your spells flying off the screen into eternity! 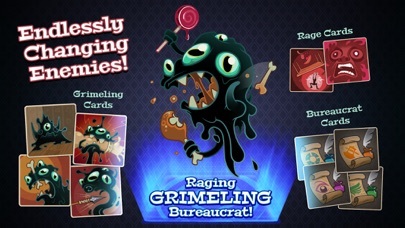 Other Apps by Righteous Hammer Games Inc.